MSI is showing off a netbook prototype with twin 10 inch, 1024 x 600 pixel touchscreen displays and no physical keyboard. But you can bring up an on-screen keyboard and tap away. What’s interesting is that the keyboard vibrates as you type. It doesn’t quite feel like using a physical keyboard, but it does give you a sense that your fingers have actually touched something. If you find the vibration disconcerting, you can adjust the vibrate level up or down. 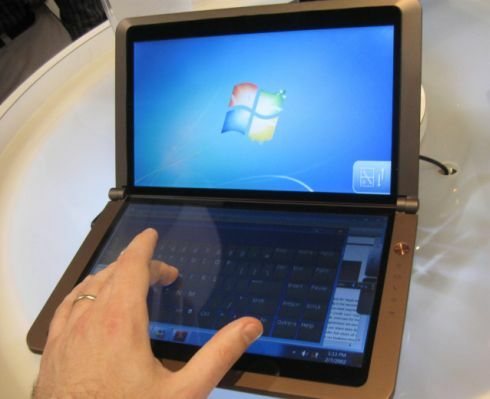 via Hands on with MSI’s dual touchscreen netbook prototype.